What is Von Recklinghausen’s Disease? 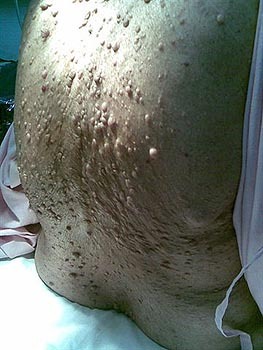 A congenial disorder, neurofibromatosis, in which soft tissue tumors form along nerves and beneath the skin. There are often other anomalies, such as decalcification of bones, fibroses of the lungs and formation of kidney stones (renal calculi).